Julia Temple Newhook explores the current shift in health care for trans and gender diverse children: from the shame of childhood closets to the celebration of self-acceptance. Around the world, many cultures have ancient traditions of celebrating gender diversity. However, in North America since the mid-twentieth century, children who resisted gender stereotypes have been treated as deviant, defiant, or mentally ill. “Therapies,” such as those highlighted in the infamous “Sissy Boy Experiment,” were developed to encourage, coax, and force children to conform to rigid gender stereotypes. The prevailing cultural belief was that children who did not adhere to the ‘standard’ gender roles needed to be fixed. In 2018, we are finally beginning to recognize, on a global level, that gender is “a matter of diversity, not pathology.” On June 18th, the World Health Organization announced that being transgender is no longer considered a mental health condition. Gradually, trans and gender diverse people are being understood and accepted as a part of the vibrant multiplicity of the human species. The May 2018 issue of Canadian Family Physician highlighted our commentary, “Teach Your Parents (and Providers) Well: A Call for Refocus on the Health of Trans and Gender Diverse Children.” In this commentary, we summarize the decades of research that pathologized gender diverse children, review recent research on children’s brain development and emotional health, and outline research that supports an ethical, affirmative approach to care for trans and gender diverse children. 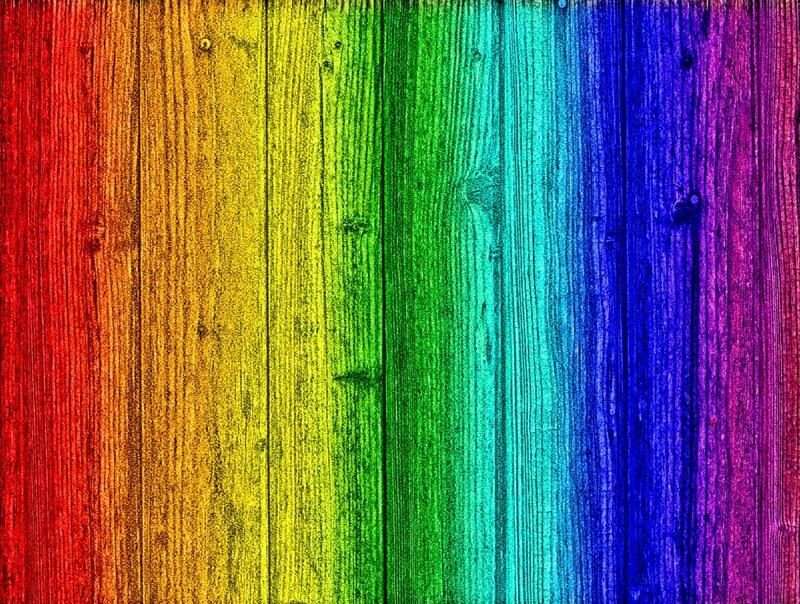 Image Description: Vertical rainbow (red, orange, yellow, green, blue, indigo, violet) on a wood background. Research suggests that children who are not allowed to freely express their gender identity have poorer mental health in childhood, in adolescence, and in adulthood. These consequences include lower self-esteem, lower life satisfaction, and suicidal thoughts and attempts. In contrast, new research has shown that transgender children who are affirmed in their identities can have positive mental health outcomes equal to those of their non-transgender peers. Strong parental support appears to be an essential key to a child’s well-being, linked to a 93% reduction in rates of attempted suicide compared with trans youth without this strong support. So what does ethical care for trans and gender diverse kids look like? Ethical, affirmative care for trans kids recognizes that gender is about more than just boys and girls. For example, imagine a child who was assigned an “M” on their birth certificate, but who loves to wear dresses. This child may be a boy who just loves the swish and swirl of a skirt. They may be a child who rejects all gender expectations and identifies as neither a boy nor a girl. Or, she may be a girl who is trying to find a way to show the people she loves who she knows herself to be. How do we know which, if any of these identities, is the best fit for this child? Ethical care for gender diverse children is about respecting the child’s own experience and description of who they are. Ask. And listen to the answer. And keep listening, because gender is a journey. For adults, perhaps the most difficult task of all is setting aside the fear that a child’s identity may change. But children do not need guarantees or predictions about their future identity. What they need, at the most fundamental and intimate level, is to know that they are loved, accepted, and celebrated for exactly who they are … not for who others hoped that they would be. In 2015, a young trans woman named Leelah Alcorn died by suicide. Her suicide note begged for change – for transgender people to be treated “like humans.” She ended her note with one last plea: “Fix society, please.” All this time, we have believed that there was something wrong with trans and gender diverse children. But our children were never broken in the first place. It is our society and the way we treat gender diverse children, that needs to be fixed. Julia Temple Newhook is a researcher with the Janeway Pediatric Research Unit in the Faculty of Medicine at Memorial University, and a Director of Trans Support NL Inc.
← Can Nurse Practitioners mention MAiD to patients?